A new puppy is exciting but it can also be a little daunting and many bad habits start to set in before your puppy is ready to attend training classes. A puppy home visit can take place within the first few days of you bringing your puppy home and is particularly helpful for first time dog owners. You will receive all the essential information needed to avoid making common mistakes and get your puppy off to a good start. ♦ Toilet training, feeding, sleeping patterns and early socialisation. ♦ Play biting, chewing and chasing children and/or other pets. ♦ Keeping your puppy stimulated before being allowed to take walks. Home visits normally take between 1 and 2 hours and cost �35 per hour. Behavioural issues are the most common reason people decide to give up their dog. Frustrating problems like nipping, jumping-up, and peeing in the house are easily corrected through behaviour modification techniques. However, one of the most challenging behavioural issue is a dog that is seemingly aggressive towards other dogs. No normal person wants to own a dog that lunges, barks or tries to bite another dog! Dog aggressive behaviour is usually witnessed between the ages 1 and 3 years. It's very difficult to recognise the underlying reasons for their dog's behaviour and requires an experienced behaviourist such as ourselves to help you understand subtleties and evaluate the source of the aggression. Behaviour consultations will deal with all issues like insubordination, excitability, predatory behaviour, destruction and aggression. Consultations cost �35 per hour. Consultations take place either at your home or our training centre. To book an appointment, please contact us. Private dog training sessions are ideal for dogs that do not respond well in a class environment or when it is not possible for you to attend regular training classes. 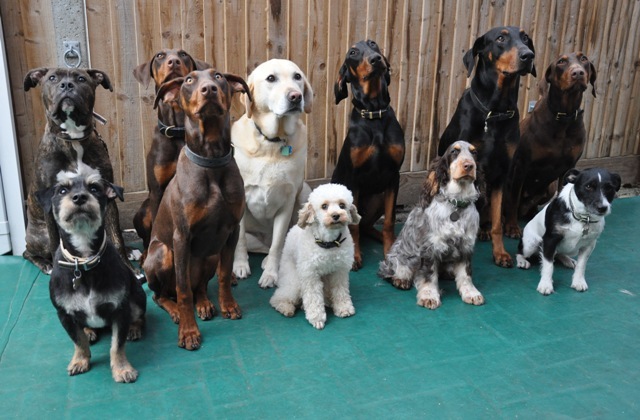 Private training sessions are suitable for both puppies and adult dogs. The main benefit is that you receive undivided attention. Training session are flexible as they can be conducted anywhere at a time most convenient to you. Cost is �35 per hour. Regular sessions are required to gain maximum benefit. If you know of anyone else that could benefit from private dog training and can attend the same session, 15% discount will apply - limited to two dogs. If you're intested in a sport dog training, either as a hobby or competition we can teach more advanced training programmes to suit your long term goals. Please call to discuss ANY training requirements you may have. An initial consultation may be required if you are not sure of your requirements. To discuss further details, please contact us or call 01252 629494.